Spread along a secluded beach off the Mexican coast, this adults-only resort is a romantic oasis. 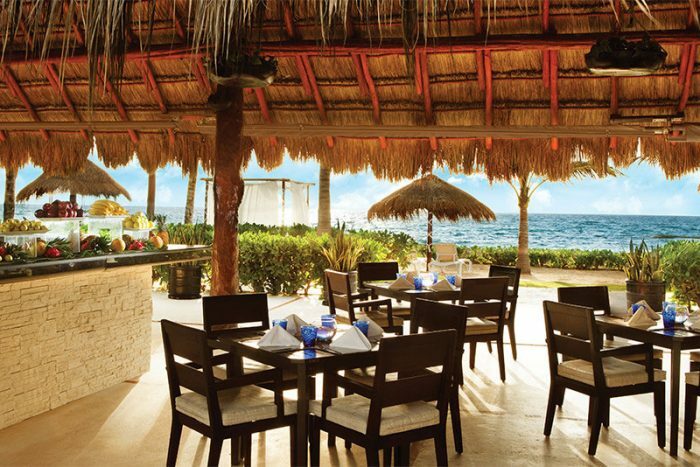 Savor every moment with your loved ones at El Dorado Royale by enjoying the warm ocean waters and vast beaches, or lounging by one of the 13 luxury pools. From dining at any of the 15 world-class restaurants to horseback riding on the beach, this resort offers something special for everyone! The resort takes pride in their farm-to-table dining experiences, with a 76,000 square-foot hydroponic greenhouse on-site that produces fresh herbs and vegetables! This is a very large property, and shuttles or golf carts may be needed to get from one end of the resort to the other. 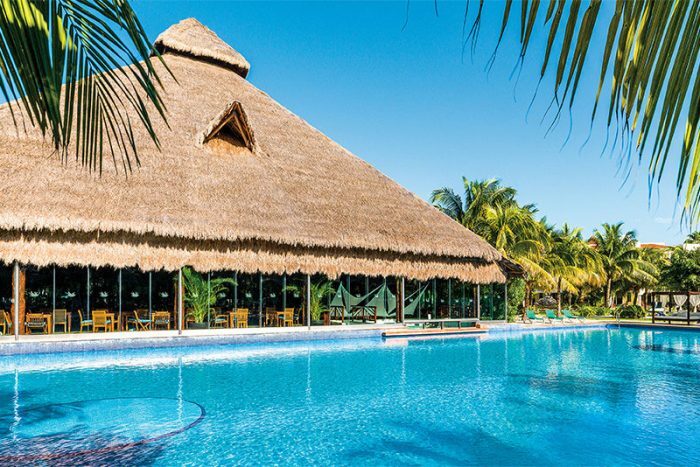 El Dorado Royale is an adults-only resort and is not accommodating for those who need handicap accessibility. 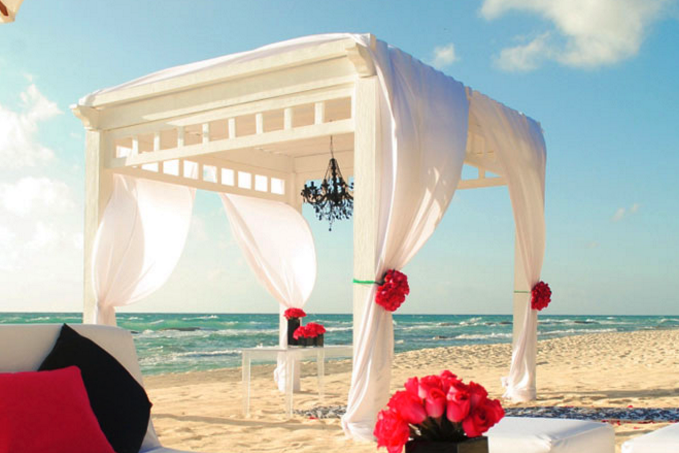 Being one of the Karisma hotels preferred partners, we can offer additional amenities to our couples including free room upgrades, and free romantic beachfront dinners! Contact us for further details. The base package is $950 and includes up to 40 guests. It is complimentary in the North American market for guests staying in a qualifying room category for 7 nights or more, or booking a minimum of 5 rooms for 3 nights. Upgraded packages, additional guests, and add-ons are available for an additional cost. Ballroom – 600 guests max, Salon Royale – 300 guests max, Fuentes Gazebo – 100 guests max, White Gazebo – 100 guests max, Gazebo 55 – 100 guests max, Mexican Gazebo – 70 guests max, La Glorieta – 60 guests max, Bellinis Gazebo – 50 guests max, Jojo’s Deck – 40 guests max, Chapel – 40 guests max, Salon Dorado – 40 guests max, Chapel Terrace Gazebo – 20 guests max, Casitas Gazebo – 10 guests max. The resort hosts no more than 3 weddings per day Monday thru Sunday. No weddings will be held at the same time or at the same location. 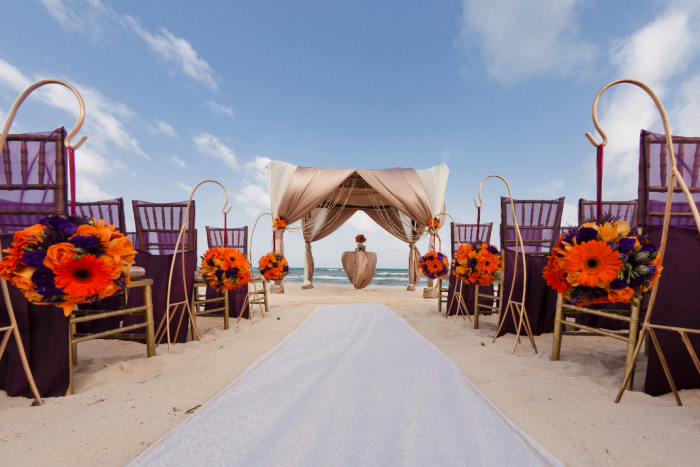 Weddings are typically held at 4pm, 5pm, and 6pm but can host them at any time of the day. The wedding coordinators typically respond within 24 hours. During the resort’s busy season, they may take up to 48 hours or longer. Rooms range from $190 – $255 per person per night. All rooms include indoor jacuzzis and large, private terraces. Guests may have a hammock added to their terrace upon request. 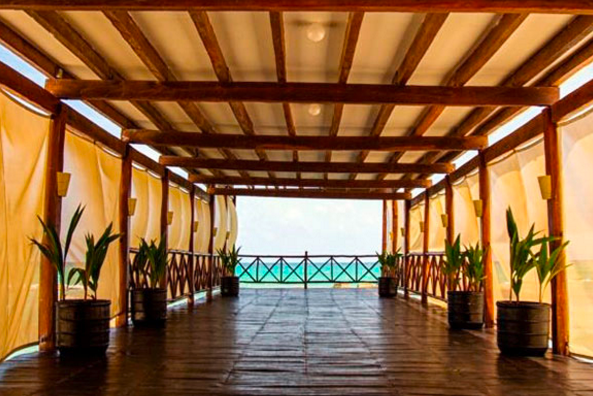 There are 478 total guest rooms with views of the property’s gardens or the Caribbean Sea. Guests staying in any of the swim-up suites will have access to a semi-private pool from their terrace. High-season months typically include April, May, June, July, October, and November. It is always encouraged to have your guests book their stay 9 – 12 months in advance. Rooms allow up to 3 adults. The Two Bedroom Presidential Suite is the only room that allows for 6 adults max. The El Dorado Royale is located about 20 miles from the CUN airport, or 35 minutes from downtown Cancun. Ballroom – 600 guests max, Salon Royale – 300 guests max, Fuentes Gazebo – 100 guests max, White Gazebo – 100 guests max, Gazebo 55 – 100 guests max, Mexican Gazebo – 70 guests max, La Glorieta – 60 guests max, Bellinis Gazebo – 50 guests max, Jojo’s Deck – 40 guests max, Chapel – 40 guests max, Salon Dorado – 40 guests max, Chapel Terrace Gazebo – 20 guests max Casitas Gazebo – 10 guests max. Rooms allow up to 3 adults. The Two Bedroom Presidential Suite is the only room that allows for 6 adults max. This resort is adults-only for guests 18 and older. The El Dorado Royale is located 20 miles from the CUN airport, or 35 minutes from downtown Cancun.